Question: Does God Love People Who Say They Don’t Love God? We will use Acts 17:16-34 for context. But how should the church engage those people who say they don’t love God…or don’t care about God? Should we write them off? Shame them? Welcome them? How do we do that? 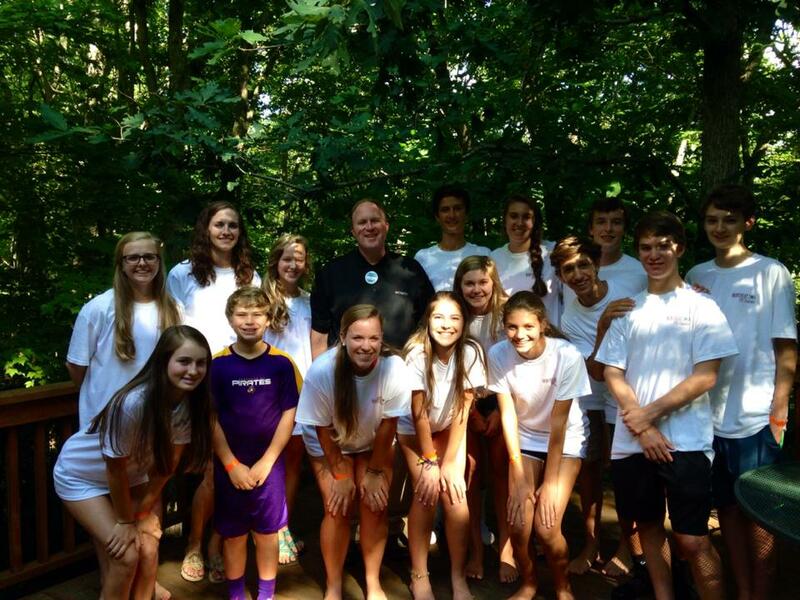 Our youth spent at week in Montreat at the “Rooted and Reaching” retreat. These are their observations from five days of worship, prayer, fellowship and discussion as they grew closer to one another and to God. Day 1: Hello First Pres Family. You’ll be happy to know that we had a wonderful first full day at the Montreat Youth Conference. We started off our day with a great breakfast provided by our awesome first pres parents! We moved on to the Keynote led by Jarrett McLaughlin, who did an excellent job starting to convey the theme of “Rooted and Reaching.” We explored this theme in depth today by focusing on the Parable of the Sower (Matthew 13 1-8). We further discussed this in our small groups where we met people from all over. Everyone is looking forward to continuing to build relationships in their small groups. We ended the day with a worship service led by Christopher Edmonston. He did an excellent job of laying the groundwork for the week by focusing on “our soil” and how we need good soil to put down our roots and begin growing. Overall it looks like we are setting up for a great week in Montreat and growing closer to God. coming closer together forming a family of god. As a group we hiked Lookout Mountain continuing to bond as a group and experiencing God’s beauty. Christopher wowed us again with another amazing sermon. He helped us understand how it is good to let go, always remembering that he never abandons his garden of people. Day 5: Throughout our week at Montreat, we have explored the theme of rooted and reaching in regards to our connection to God. Through this theme we have experienced a growth in our faith as we discovered what it meant to surround ourselves with people we believed would help us become better versions of ourselves. We examined our roots and our basic connections to God in hopes of pruning our rough edges. Together we have made new friendships in our small groups that helped nourish our faith. We also had the pleasure of forming unbreakable bonds with our back home group. We are blessed to have such a wonderful program at First Presbyterian of Charlotte. Today we focused on two questions to take home with us: how can we reach and what is our story. Both services focused on this internal reflection and offered us advice on what to think about once we left Montreat. Finally, after the last worship, we had a candle light ceremony around Lake Susan to wrap up everything we had done this week. In our back home group we reflected upon our wonderful week here at Montreat and what we hope to take from it. We cannot wait to come back next year! When do we notice God’s presence? Looking back at our lives, where have we experienced the love of a God who promises to never let us go? It is normal and important to wonder where God was in the unresolved and difficult passages of life. It is just as important to lift up where God is – that becomes the fabric of our testimony…a testimony that can encourage and invite those who hunger and thirst for a relationship with Christ. For context, we look to Psalm 13 and Matthew 14:22-33. What do you you think? Where is God in your life and the lives of others? In the suffering of cancer patients? In the death of a beloved child? In the bombings and attacks in Israel and Gaza? Where was God in these, or in any space that is full of pain, sadness, worry? And what are the consequences to deciding God is not present and not active? Is heaven a place? What is it like? Who will I meet there? Is heaven the goal of life? If so, what does that mean about the life I live now? If heaven is so great, does that make the world a bad place? Is this existence something just to be tolerated and endured? What do you think? Why is it important to our faith that we believe it? What is the good news about a God who is so difficult to wrap our minds around? We are using the scripture passage John 16:4-15 as reference.